Gold futures traded lower in Asian trade on Monday, with market participants looking ahead of a widely anticipated monetary policy meeting from the Federal Reserve. The US regulator is gathering to decide whether is time to hike for the second time in 2017, moving short term rates by 25 basis points to a range between 1.00 and 1.25 percent. The two-day meeting begins on Tuesday and expectations for a rate move on June 14 are currently standing at more than 95 percent, according to the CME Group’s FedWatch tool. The yellow metal is very sensitive to moves in US rates, as a high-rates environment dampens demand for safe-haven assets such as bullion, while increasing demand for the US dollar. The US dollar index, which gauges the greenback against a basket of six major currencies, was down by 0.11 percent, to trade at 97.13. On Friday, the index ended in green territory at 97.24 after reaching a two-week peak of 97.47. On the Comex division of the New York Mercantile Exchange, gold for June delivery was trading down by 0.20 percent at $1268.80 a troy ounce as of 06:45 GMT. Last week, gold for August delivery ended down 0.69 percent, marking its first decline in five weeks. The metal has been affected by easing worries in the United States regarding the Trump-Russia case after former FBI director James Comey testimony before the Senate. Ahead this week, the Fed meeting won’t be the only event on the calendar. Players will also be monitoring central bank gatherings in the UK, Japan and Switzerland, as well as key economic indicators in the United States. 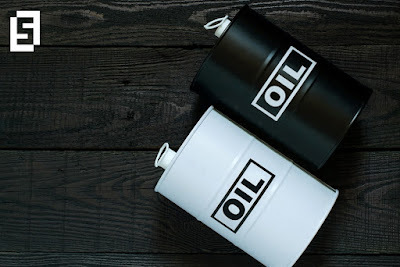 Oil futures were higher in Asian hours on Monday as market players turned their eyes to a fresh monthly report from the Organization of Petroleum Exporting Countries and crude inventories in the United States. The US West Texas Intermediate oil futures traded at $46.02 a barrel, up 0.41 percent from its prior close. The international Brent crude oil futures soared 0.44 percent to trade at $48.36 a barrel as of 06:55 GMT. Last week, WTI contracts ended 0.40 percent higher at $45.83 per barrel, recovering some positions from its May 5 low at $45.20. On the ICE Futures Exchange, Brent contracts added 29 cents to finish at $48.15. In weekly terms, the US benchmark eased 3.8 percent while the Brent lost 3.6 percent. Fears over a possible widening of the ongoing crude supply overhang increased after an unexpected build in stockpiles for the week ended June 2. Oil prices plunged sharply and reawakened concerns on the effectiveness of the OPEC-led output cut agreement. The oil cartel and external products such as Russia have recently agreed to extend production cuts until March 2018, adding three extra months to the initially discussed length but keeping volumes at 1.8 m barrels per day. On Friday, oilfield service provider Baker Hughes reported a new increase on the weekly oil rig count. The document said US drillers added 8 platforms, leaving the total count at 741 units. In the week ahead, traders will keep an eye on fresh weekly data from the American Petroleum Institute on Tuesday and the Energy Information Administration on Wednesday. Baker Hughes comes on Friday.